DENVER, March 20, 2019 (Lockheed Martin PR) — Lockheed Martin (NYSE: LMT) announced a new generation of space technology launching this year that will allow satellites to change their missions in orbit. Satellites that launched one, ten or even fifteen years ago largely have the same capability they had when they lifted off. That’s changing with new architecture that will let users add capability and assign new missions with a software push, just like adding an app on a smartphone. 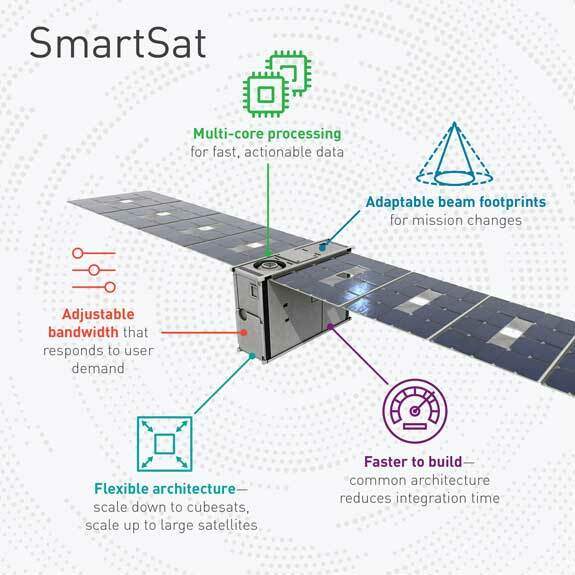 This new tech, called SmartSat, is a software-defined satellite architecture that will boost capability for payloads on several pioneering nanosats ready for launch this year.